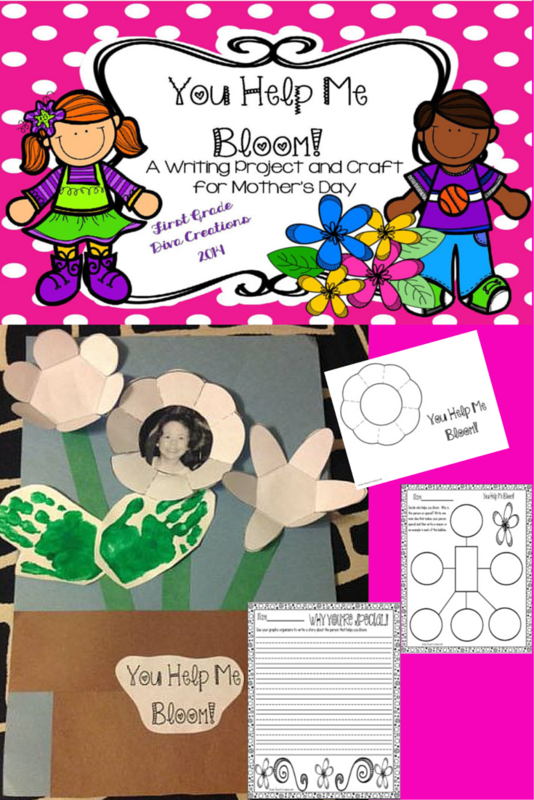 The Best of Teacher Entrepreneurs II: Writing Lesson - "You Helped Me Bloom"
Looking for something to appreciate moms, dads, other special adults, and volunteers that doesn't cost you a fortune? Oh! The stories I could tell of the late nights gluing and assembling, the many dollars spent, and the stress of Mother's Day gifts for my students to make. KEEP IT SIMPLE THIS YEAR! One of the reasons I love primary aged children is because of the way they see the world. Their perspective is so innocent and adorable. I created this lesson to capture and save forever how they feel about their moms, dads, classroom volunteers, or other special adults. These can easily be created in a day if you are in a time crunch. My teaching partners and I went to our local dollar store and purchased clear bags, colorful shredded paper, and curling ribbon. We then put these posters into the bags with a bit of shred, and tied them off with the curling ribbon. It really gave them that special look! THIS CAN ALSO BE EASILY ADAPTED TO MAKE A CLASS POSTER TO APPRECIATE A VOLUNTEER. I PUT THREE FLOWER POTS ON A POSTER AND GIVE EACH CHILD ONE OF THE INTERACTIVE FLOWERS.